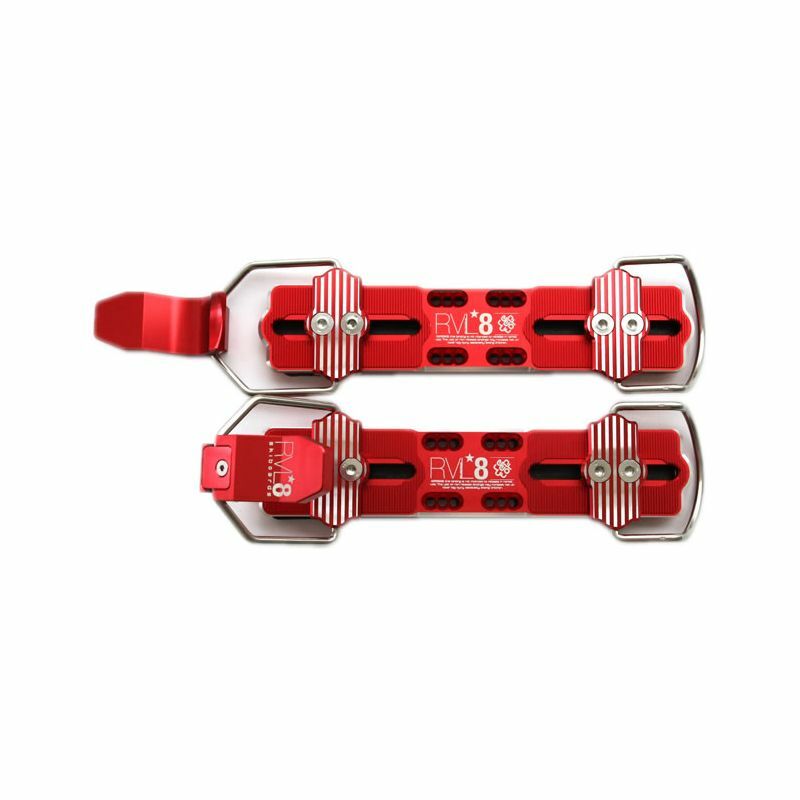 For 2016 the RVL8 Receptor bindings continue two improvements begun in 2013: 1) a more dense neoprene base pad 2) smaller adjustment teeth for finer boot adjustments. Color choices for 2016 are black, gold, blue, red, green, orange, purple and silver. 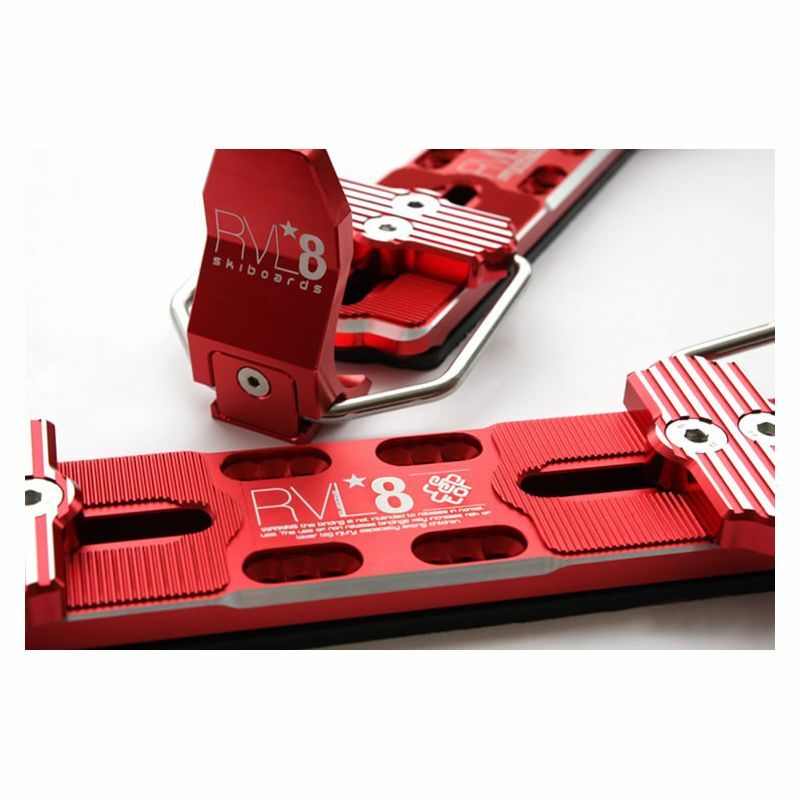 RVL8 Receptor non-release skiboard bindings work with all ski boots and hard shell snowboarding boots roughly from sizes 4-13. 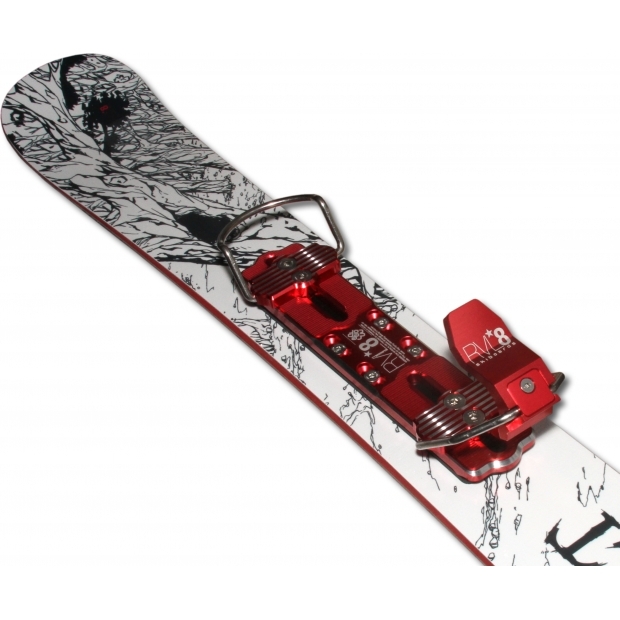 Please email us your boot's sole length if you have concerns or check the skiboard bindings specification table. Note: Leashes are not included.